OpenShift is a Platform as a Service (PaaS) system to go with the increasing number of such systems. There is something about OpenShift though, that many of the start up based PaaS systems don’t have. 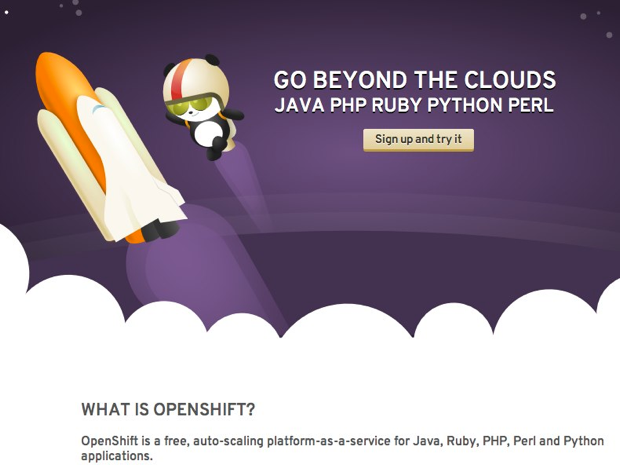 OpenShift has been created by well known open source/Linux company Red Hat. Red Hat is synonymous with creating stable, robust systems for the enterprise, so it is no surprise that they have joined the ranks of PaaS providers. In this article, I am going to show you how to get set up with OpenShift, and deploy an existing simple PHP web application to it, and continue developing the application on the OpenShift cloud. for most Linux distros you will need root access, along with the development package for the version of Ruby that you have installed. You need Git, and rubygems too. For Mac (Snow Leopard and Lion), you need Git or the full XCode suite. It’s worth noting that once you have confirmed your account and logged in, there are a number of “getting started” videos to help you set up your system. If you are on a Mac you will also need to install the json_pure gem. You might need to use “sudo” to install the gems if you are on Linux/Windows with Cygwin. Accepting the default choices is fine. So here, we are creating a new app called “shouter” with the type set to PHP 5.3. You then also add your user name to login. You will then be prompted to enter your password. After a short while you should get a confirmation message that your app has been created. You will also be given a url where you can see your new application in your web browser. The other vital piece of information provided will be the Git clone address. Note: you will be asked to add the web app url to your list of known hosts. You should answer yes. The app I am referring to here is called “shouter”. It is a CodeIgniter based PHP app that provides a simple browser-based “shout” or message system. You can use your own application obviously, just substitute “shouter” with the name of your app. 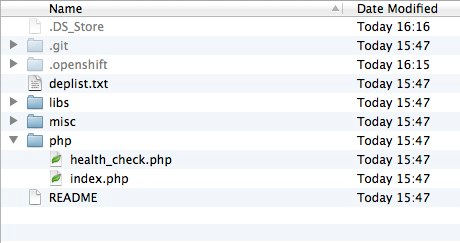 It is the PHP folder that we are most interested in, since that is where our main application files will reside. Now you have a MySQL running for your app, and it can be managed via phpMyAdmin. Do take careful note of the log in credentials you are provided with. You’ll need them! 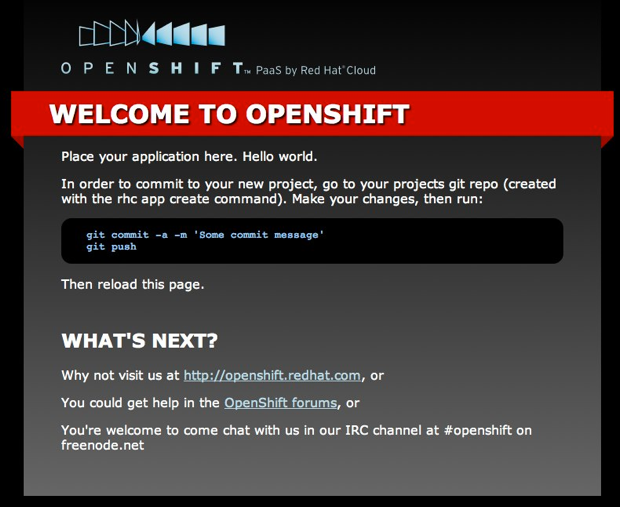 So if you have an existing app that you would like to run on OpenShift, it is simple to move it over. One caveat though, OpenShift is, according to Red Hat, a developer preview. That means it probably isn’t suitable for production code. Having said that, I have been using it for the past week, and experienced no problems at all. If you have your project under Git source management already you will most likely need to scrap the Git files, and just copy your app into the local clone of your OpenShift project. Transferring history from one repo to another is a tricky business, and usually only works where you have one folder. I would be inclined to keep my old repo as a point of reference, and copy the code into the OpenShift repo. So now you can develop away, adding new features for your app. You could commit and push to OpenShift each time you update something, or you could use your local AMP(MAMP/WAMP, local Apache) setup to test changes locally before pushing them to OpenShift. That means that you are working in the same way that you might if you were using Github for example, to remotely manage your source code. The only difference here is, you are actually deploying your code when you push to the remote. You can do the same for the database config. You can create custom .htaccess files for your app, they work as expected. OpenShift uses the concept of namespaces to act as a domain. 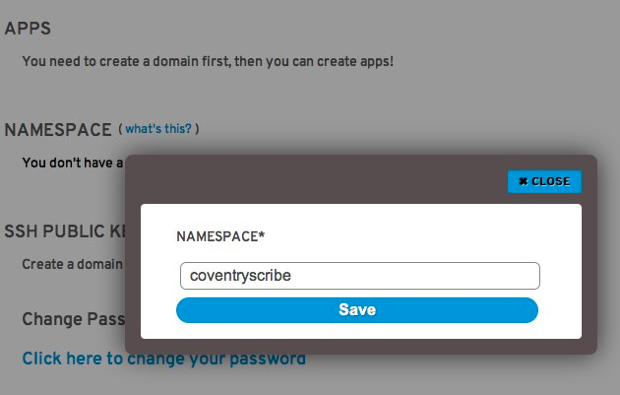 One namespace can have multiple apps within it; the name you give to the app will form part of the url that you access your app with. If you wanted more namespaces, you would have to create a new account for each. Then in your DNS management for mydomain.com you can add a cname to point www.mydomain.com to app-namespace.rhcloud.com. There are plenty of PaaS options out there of course. Considering OpenShift is a developer preview, it already feels very stable. Red Hat are also working on a browser-based management console to make it even easier to set up new apps, manage your namespace, and access your account details. This article has given you an overview of how to get set up and begin/continue development of your app. Do keep in mind, that Ruby, Python, and Java apps are supported to.